Our eyes are unique and precious to every individual. Sometimes, a pair of eyes needs more care for visual clarity. 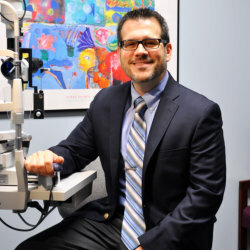 At Family Vision Solutions, our goal is to provide unique solutions to anyone struggling with their vision. Specialty contact lens fittings vary from helping children see in the classroom and prevent myopia all the way to restoring eyesight to those nearly blinded from surgical complications. Dr. Randy Charrier carries the distinction of being a Diplomate in the Cornea, Contact Lenses and Refractive Technologies section of the American Academy of Optometry, an earned distinction held by less than 1% of optometrists in the United States. 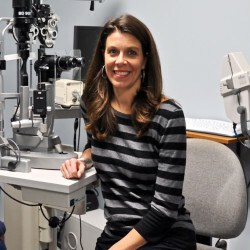 Dr. Karen Ebling has an extensive background in pre and post-surgical care as well as practicing inside an ophthalmology practice. She is also the recipient of several awards including the Vistakon Award of Excellence in patient care. 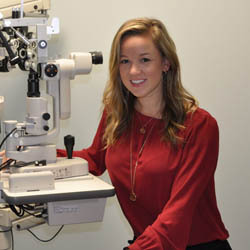 Dr. Kelsea Skidmore specializes in fitting medically necessary contact lenses for patients with a complicated eye history, such as keratoconus, post-LASIK complications, and irregular corneas. She is certified in corneal reshaping technology (CRT) or orthokeratology that uses overnight contact lenses to gently reshape the cornea to achieve amazing vision in the day. CRT acts as a non-surgical alternative to LASIK that the latest research confirms to slow or stop the progression of myopia (nearsightedness). Our team of specialty contact lens eye doctors has established our practice as Houston, TX’s hub for contact lens care. Everyone was very nice and helpful! Would refer friends there. Outstanding care and professionalisms. Thank you. I will always come back to this place until it goes out of business. The staff are friendly, profesional and very attentive. Every visit has gone smooth, quick and I always leave very satisfied. I have gone to several different doctors in Houston but because of my severe case of astigmatism I have never gotten such an accurate clear prescription like I have from this place. I am very thankful to have found this place. The doctors are very knowledgeable especially Dr. Randy Charrier whom has given me hope a better quality of life. I don't even know where to begin, other than to say my family has complicated eye care needs, and we have received amazing care from Dr. Charrier and his staff. We all feel fortunate to have found our way here, and have enthusiastically recommended him to many of our friends. I always get excellent service and professionalism from everyone at family vision solutions! I have been going to Family Vision Solutions for a while now but today's visit was the best experience I've had. Dr. Charrier was friendly and very detail. 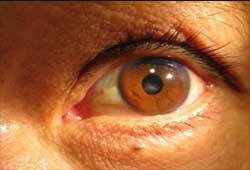 He explain how the eye works and the concerns/issues that I might need to address later on in life. Love him!! 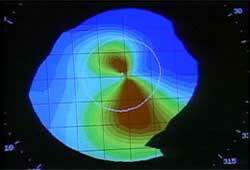 Want to learn more about Myopia Control and Orthokeratology?